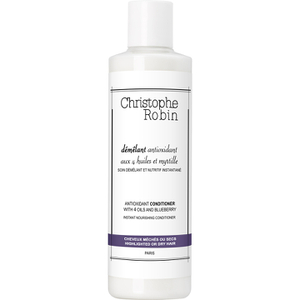 The Christophe Robin Hydrating Shampoo Bar with Aloe Vera is a 100% natural shampoo bar that gently cleanses the hair and body. With a solid bar texture, the 2-in-1 cleansing formula utilises Aloe Vera, natural Glycerin and Castor Oil to effectively lift away dirt and impurities to leave skin feeling refreshed, hydrated and revitalised. The hair fibre feels revived, and skin feels soft and comfortable. 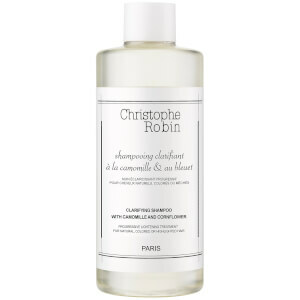 Free from parabens, silicones and SLS. 100% vegan. 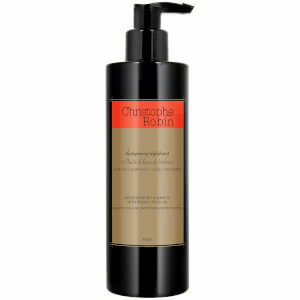 Wet the hair and the bar, apply directly to the scalp and massage to work up a lather, then rinse VERY thoroughly. 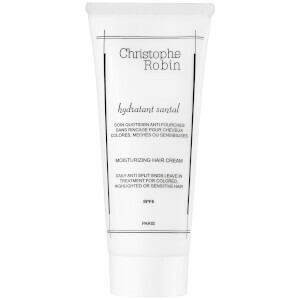 Follow with the hydrating leave-in mist with aloe vera to help detangle the lengths. Avoid contact with eyes. Olea Europaea Fruit Oil*, Cocos Nucifera Oil*, Aqua, Sodium Hydroxide, Linum Usitatissimum Seed Oil*, Ricinus Communis Seed Oil, Aloe Barbadensis Leaf Juice*, Citrus Aurantium Leaf Oil, Beer, Linalool, Sodium Phytate, Citric Acid, Geraniol, Limonene, Citral. (*From Organic Farming).